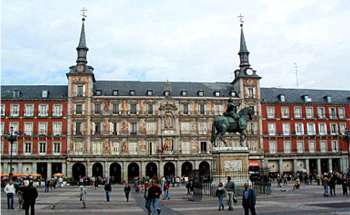 To make a visit to Spain as pleasant as possible, good accommodations are necessary and easy to find. By visiting various websites, hotels, apartments for rent, and even bed and breakfasts can be found. Because these sites do require a city to be chosen, a map of Spain is provided at the bottom of the page. The following links are recommended for finding accommodations online with a brief overview of what the sites provide. venere.com is an easy site to navigate, and allows you to not only research accommodations in Spain, but all around Europe. The convenient process of selecting the city to be visited provides an extensive list of hotels ranging from hostels to 5 star hotels. The organization of these lists can be modified as to what is important to you, the number of stars, location (maps of the "zones" are provided), or even hostels available in the area. Photos, descriptions, and quoted rates provide quick and easy evaluation of each accommodation. innsofspain.com provides a rather limited selection of hotels, but only because the site represents smaller hotels in Spain. These locations provide quite a bit of information, including photos, quoted rates, descriptions, and distances from the main attractions of the area (such as the city centers). The intimate atmosphere these accommodations provide can only enhance your trip to Spain. These options are limited, but can be the best deal for a romantic getaway or fun family vacation. This site also provides links to their sites representing France and Portugal. The Barclay International Group provides apartments and villas for rent (on a weekly basis) in not only Spain, but many countries in Europe. By displaying the property (that is linked for more information), city, size, and price, this is an easy reference to research alternative options to traditional hotels. These accommodations can be good for not only couples, but also those traveling in groups that prefer a feeling of home while traveling. Be careful though, some of these locations are not located within walking distance of typical tourist spots, and a car may be required to get to the location. The International Bed and Breakfast Pages is a guide to B & Bs across Europe. Although there are only about 21 listings for Spain, the information is very extensive. Photos, descriptions, rates and sizes are provided. Links to some of the locations are provided as well as email to the host of the B & B. This site is good for those who would like to appreciate the hospitality of Spain (and other countries).